Please join us for our next Taize Service this Saturday, April 27, at 5:30 p.m. in the Church. We will have chant, scripture readings and quiet meditation followed by Holy Communion. All are welcome to join us – invite a friend! Join us for Contemplative Prayer during Holy Week! We meet at 10 a.m. in the Conference Room on Wednesday, April 17. We will begin with meditative prayer, followed by a teaching by Rev. Barbara Brown Taylor on “Paying Attention”. All are welcome! 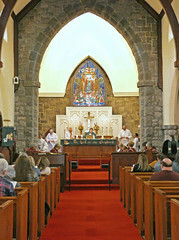 Job Description: The Good Shepherd Episcopal Church in Pitman, NJ seeks a part-time Music Director / Organist for one 10 a.m. Sunday service and one evening rehearsal per week. Additional required services include, but, are not necessarily limited to, Christmas Eve, Christmas, Ash Wednesday, Holy Week and Easter morning. Director will partner with the Priest and choirs to lead and develop the music program of the parish. 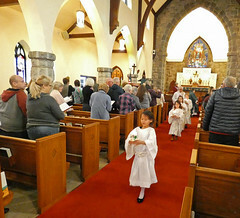 Primary obligations include all worship accompaniment; leading the congregation in the musical elements of worship; making music selections (in collaboration with the Rector); and leading an adult, youth, and Handbell Choir between September and June. This will include coordinating and conducting their rehearsals. Current Adult and Bell choir rehearsals are on Thursday evenings. Youth choir rehearses after the 10 a.m. Sunday morning service. During July and August, the organist plays at Sunday services, but there are no rehearsals. Occasional compensated participation in weddings, funerals may be requested. 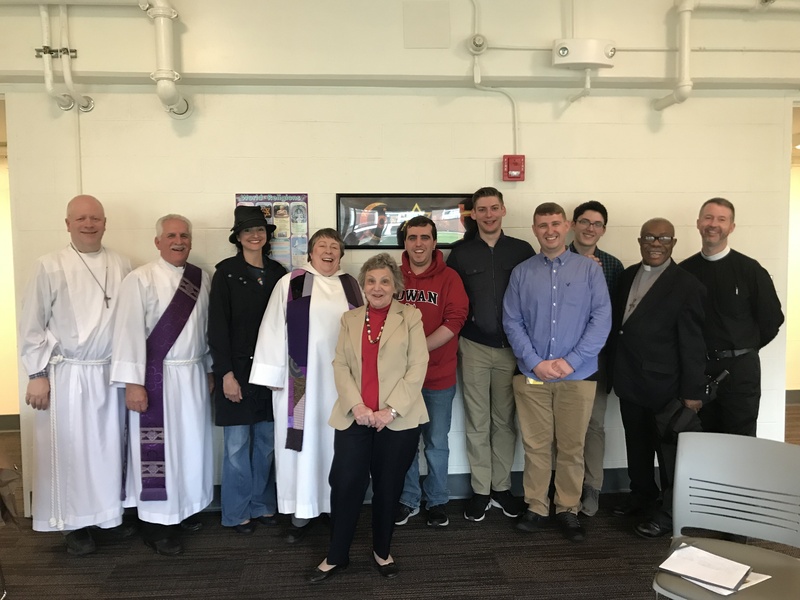 Ideal candidates should be familiar with Episcopal liturgical tradition, comfortable with various liturgical styles, and open to adapting to fit the needs of the congregation. Experience with both the organ and directing a choir is preferred. We have a library of choral music, and during services we use the Episcopal Hymnal (1982) and Lift Every Voice and Sing II. Our pipe organ is a fully reconditioned 550-pipe 12 Rank Tracker built in 1896 by Bernard Mudler of Philadelphia. There are pianos in the choir room and sanctuary available for rehearsal. Our bell choir has a three-octave set of Schulmerich brass handbells. Compensation is negotiable starting at $15,000 per annum, commensurate with experience, and includes sick time. 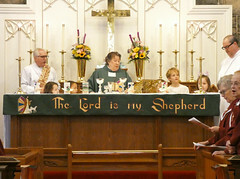 For more information about our parish, please visit: https://www.goodshepherdpitman.org. or email to goodshepherdpitman@gmail.com with the subject Music Director Application. April 2019 is the 49th Anniversary of Earth Month! The Washington Township Environmental Commission is hosting several events to celebrate Earth Day and Arbor Day. First service at Rowan University! energy, and love: to NER while growing· the business. each day was to get people to smile. Family and friends. Cigala, and many nieces, nephews, and cousins. Service will begin at 11 am. Interment will, be private. Mullica Hill Road, Glassboro, N.J 08028. Thursday Bible Study begins a new study on April 4. We will be using Peter Enn’s book “The Bible Tells Me So”. We meet at 9:30 a.m. in the Conference Room. Order your book today and prepare by reading Chapter One. All are welcome – bring a friend! The next Contemplative Group meeting is Wednesday, March 20 at 10 a.m. We begin with 20 minutes of contemplation/meditation. Following will be a brief video of Fr. Richard Rohr on contemplation and discussion. All are welcome!